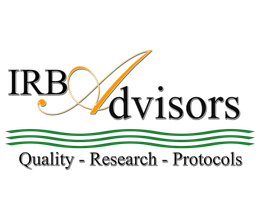 FAQs Institutional Issues - IRB Advisors, Inc.
Assuring compliance with this policy--research conducted or supported by any Federal Department or Agency. To what do these regulations apply? Duties of IRBs in connection with research involving pregnant women, fetuses, and neonates. Research involving pregnant women or fetuses. Research involving, after delivery, the placenta, the dead fetus or fetal material. Composition of Institutional Review Boards where prisoners are involved. Additional duties of the Institutional Review Boards where prisoners are involved. Research not involving greater than minimal risk. Research involving greater than minimal risk but presenting the prospect of direct benefit to the individual subjects. Research involving greater than minimal risk and no prospect of direct benefit to individual subjects, but likely to yield generalizable knowledge about the subject's disorder or condition. Research not otherwise approvable which presents an opportunity to understand, prevent, or alleviate a serious problem affecting the health or welfare of children. What information must be provided when registering an IRB? When must IRB registration information be renewed or updated?